When I got my first car, it was taken as fact that you had to change the oil every 3,000 miles, so I was fastidious about making sure I did just that. Today, my car tells me when it’s time to change the oil – and it’s always far more than 3,000 miles, more like 7,500. This fact speaks to at least a couple of developments. For one, advances in engine technology and oil chemistry combine to make oil last longer. Secondly, monitoring systems in many (probably most) cars can now take into account your driving habits to determine when your oil needs to be changed. Well, the same sorts of advances have been going on for years with respect to data centers, yet many still stick to the equivalent of that 3,000-mile oil change: schedule-based maintenance. In an era when we can apply analytics to just about every piece of data center facility and IT infrastructure, the idea of relying on a calendar to tell us when we need maintenance is simply outdated. The time has come to get smarter about how we perform data center maintenance. It’s an important issue because moving to a condition-based data center maintenance strategy can save significant money, both in terms of operating and capital expenses. If you perform maintenance only when a piece of equipment actually needs it, rather than every x number of months, chances are you’ll spend less on maintenance. What we need is a more informed maintenance strategy, one that is now entirely feasible given Internet of Things (IoT) technology. IoT makes it possible to put sensors or instruments on pretty much anything, including data center power and cooling systems, racks, PDUs, UPSs, and all manner of IT gear. Then the idea is to continuously collect data from these systems and apply analytics to determine when a given component begins to show signs that it is not functioning normally, and thus is in need of service. It’s even better if you can analyze data from not just your own equipment, but equipment from many other customers. With more data to work with, analytics engines can do a better job at ferreting out what is truly outside the norm. Even more interesting, the NYT story was from 2010 – eight years ago. But Blackstone is still doing its thing. Imagine how much better it’s gotten at the job in that time. To be sure, we are making progress at applying analytics technology to data center operations and maintenance. 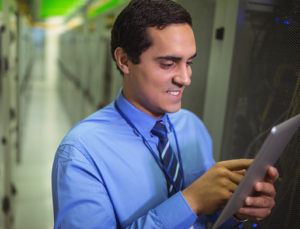 We’ve long had data center infrastructure management (DCIM) tools that are crucial to the job. 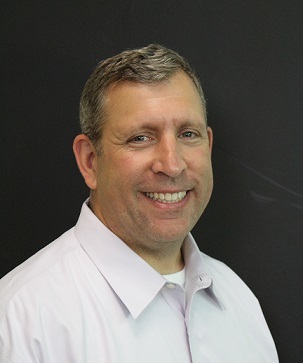 And Schneider Electric recently announced a cloud-based version of its EcoStruxure platform that involves collecting data from over 500 customers on their IT infrastructure, pouring it all into a data lake, and applying analytics. It’s powerful because it has so much data to work with from lots of different customers and vendors, making it easier to spot the true outliers that indicate real issues requiring attention. As an industry, we need to continue to apply this technology to all sorts of data center infrastructure, from any vendor, including low- and medium-voltage switchgear, cooling systems and the like. 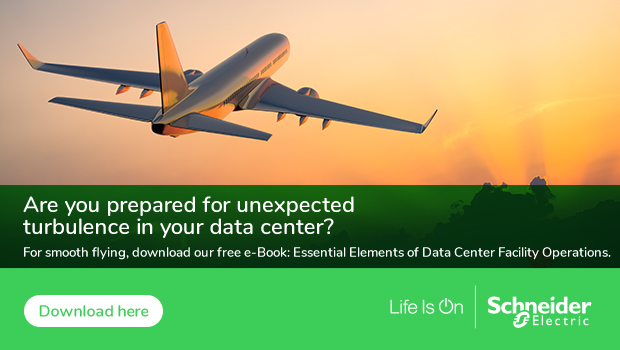 Another great resource is our e-guide, “Essential Elements of Data Center Facility Operations,” which includes a discussion of how the cloud, IOT and big data are transforming data center operations. It’s time to throw away the calendar when it comes to data center maintenance and let our equipment tell us when it needs service, just like our cars have been doing for years. Lower Your TCO & Increase Equipment Life with the Right Kind of Data Center Maintenance Condition-based Maintenance is a MUST for Electrical Distribution Infrastructure Outdated Remote Data Center Monitoring Systems Can Limit Operator Productivity and Threaten Systems Uptime What’s the Appeal of Cloud-based DCIM for Data Center Monitoring?